Party Time: Tips & Tricks — Essie Marie. Throwing a party can be really fun, but also really stressful. I've put together a few tips and tricks I follow to put on my annual Christmas party. 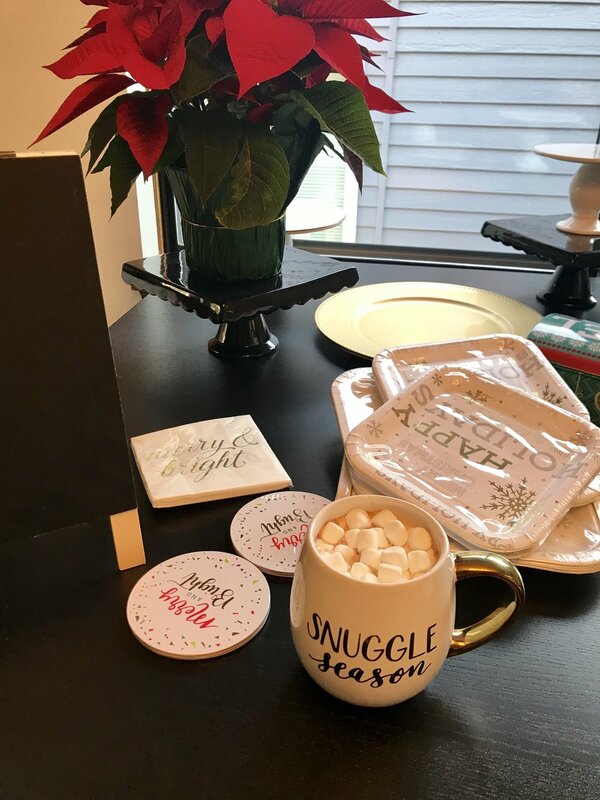 These tips can easily be used for a New Year's Eve party or, if you're like me, and already thinking ahead, they can be used for a Super Bowl party or anything else you want to throw a celebration for! The first two years we did the usual, “Ugly Christmas Sweater” party. This year we mixed it up and asked our guests to wear “Christmas” socks. On top of a dress code, we invited our guests to be apart of the giving season and donate at least two non-perishable food items. We chose My Father's House, a family shelter in SE Portland, as our place to donate to. 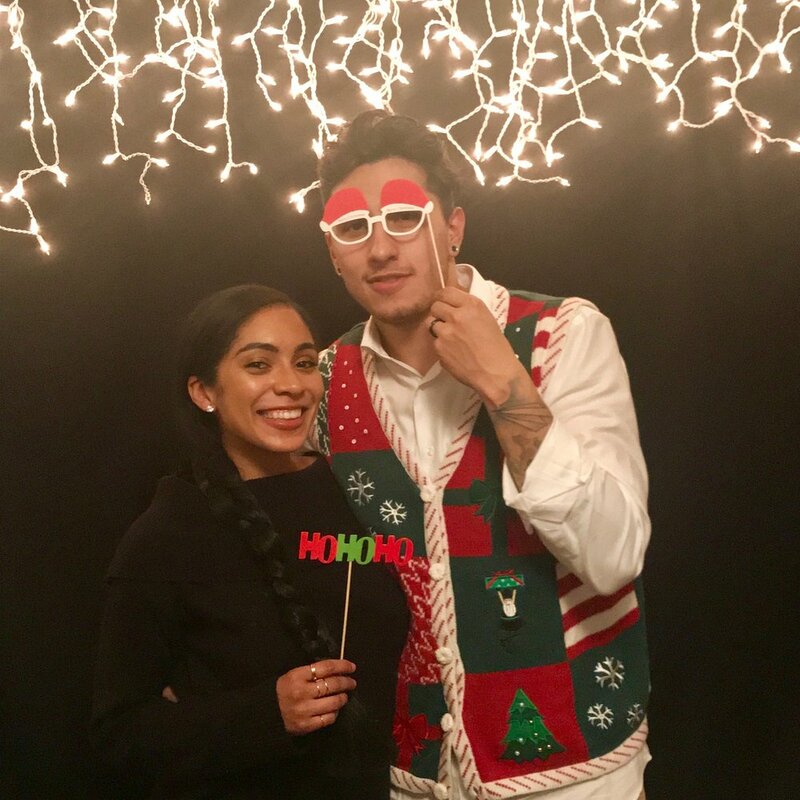 I really liked doing this, because having a Christmas party and being able to attend a Christmas party are privileges that many people do not get to partake in. So it was great to see our group of people give back and share their blessings! I always start by making an intimate guest list. In the past I have always chosen guests that I know, know each other and will get along. That way I can host and not "baby sit". But as I become a seasoned host, I am starting to realize that maybe it's good to branch out, and invite people from different worlds. So NEXT year, I plan to broaden my list a little. Once you have a guest list, get to inviting, because you can't host a party, if you don't have party attendees. Anyone who's hosted a party knows there is a lot to be done. From cooking, to cleaning all the cracks and crevices, it can be tiring. Throw decorating in there and you've really got your hands full. My hubby and I always start with our tree, and usually get it the weekend after Thanksgiving. This year we went to a local farm and had it cut down in front of us, it was an awesome experience. We ended up getting a nearly 8ft tree. It's huge in height and diameter. But it is beautiful and smells like Christmas. Because it is so big, we had to go to the store to get more ornaments, not once, but twice! After a couple of days of decorating our tree, we moved on to the walls, which took a couple of evenings to do. This year we expanded our decoration collections and splurged a little (in the Michael’s sale section) and it really vamped up our party. Once the night before the party arrived, we only had minor details to add. This helped with cutting the to do list, down to the things that could only be done, day of, AKA cooking and baking. Make another list, and check it twice. This time the list is for everything you need for the actual party. From champagne to a ladle, to butter to another crockpot. Have you ever tried to make homemade apple cider, hot cocoa AND chili, with only two crockpots? Doesn't work well. Making a list helps cut down your time at the store. This way you aren’t wondering aimlessly down the aisles, wondering what you should get, and you won’t be spending money on things that you don’t need. I will be the first to admit that I ended up at the store three times the day of the party. All because I didn’t check my list twice, or in this case three times. So please check your list! Don’t spend beyond your means. I bought Cooks champagne and once I added it to the fruit and Martinelli’s sparkling cider, you couldn’t taste the difference. I bought off brand butter and the cookies were still yummy. When we bought decorations we chose things that were staples, because we plan to have a lot of Christmas parties in the future, so next year we won't have to spend a ton on decorations again. I made my littlest guests, cheap gift packs. 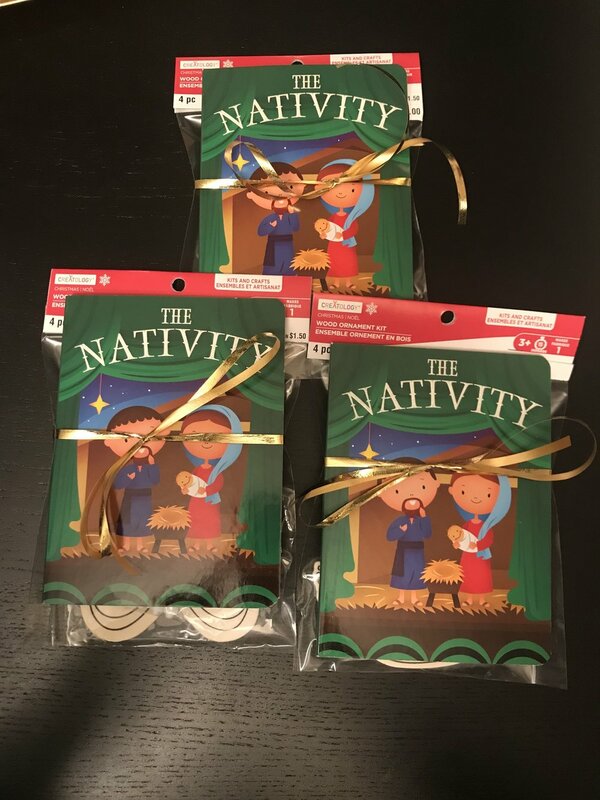 I got nativity story books from the Dollar store, and little DIY ornaments that they could color in, all for $1 each. I threw a ribbon on each pack, and boom a $2 gift now looked like it cost at least... 5 bucks! And lastly, don't spend too much on plastic ware, Walmart has decently priced, cute printed plates, napkins and bowls, no need to spend $10 on plates that are literally going to end up in a landfill. Take time to actually eat the food you made and drink the yummy Christmas champagne. Spend time with the people who you invited to the party and take in the scene that you created. Parties are meant to be enjoyed by everyone, guests and host included! I enjoyed myself so much, that I actually didn't get too many pictures of the party! If you have any tips or tricks you use when hosting a party, let me know, I'd love to try them!